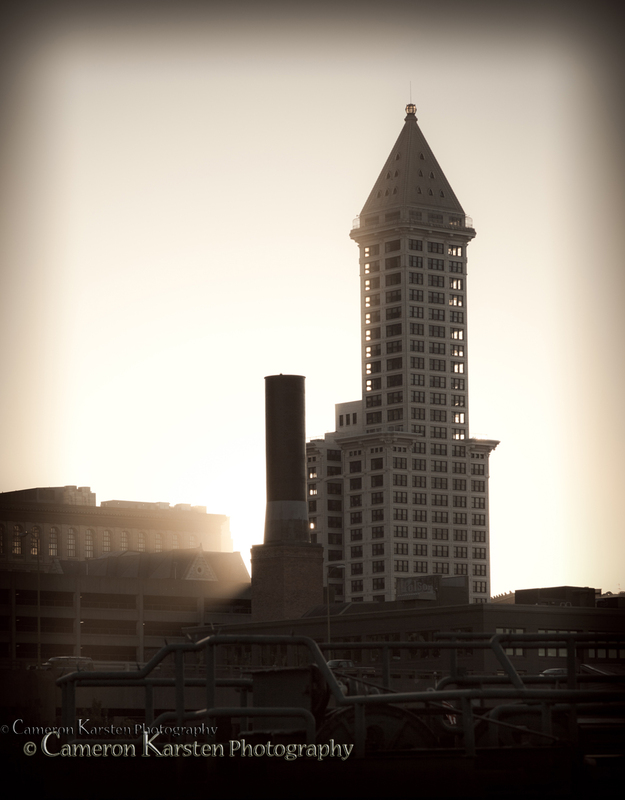 Walking off the Bainbridge – Seattle ferry run this morning, I noticed the sun beginning to rise behind Smith Tower, once hailed as the world’s tallest building outside New York City. But that was the beginning of the 20th century, and here she remains, still beaming in all her glory from the days she first stood. 105mm, 1/800 sec at f/6.3, ISO 250.